This dear little image from a Day for Daisies has long been a favourite of mine.It has been gently shaded with Promarkers and given a little Glamour Dust to the top of the stocking. The sentiment was computer generated straight onto the card and the dry embossed snowflakes were effected from a Freebie folder from a magazine. The image was cut out and popped onto dimensional pads. I used a few challenges as inspiration for this simple card. 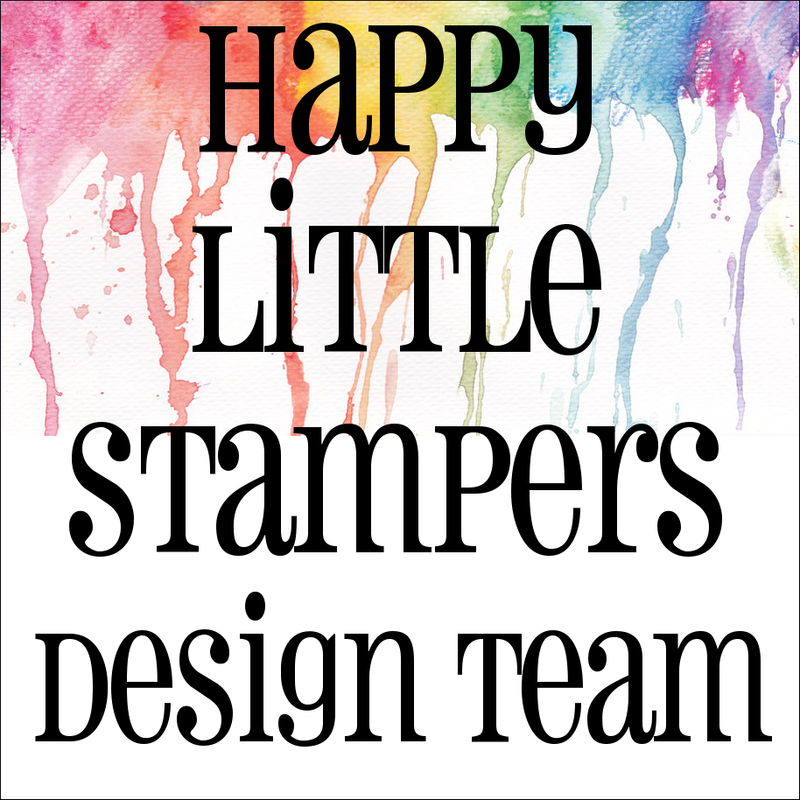 CAS is the theme at Addicted to Stamps and More so it's for that too, I trust that a digital image still counts as a stamp! 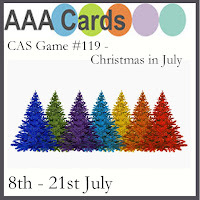 AAA Cards has Christmas in July so it's for that too! Aw... this is so sweet! Great use of the sketch, too. I've been driving myself nuts-o looking at that sketch and coming up with zilch! Thanks for joining us at Addicted To CAS. Oh, this is adorable! Super sweet take on the sketch! I love it! 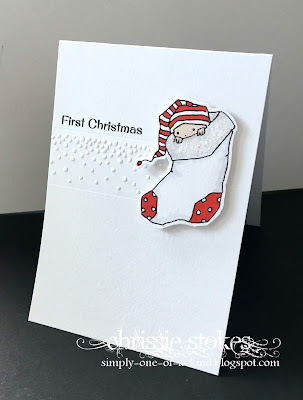 Absolutely darling baby card, Chrissie! 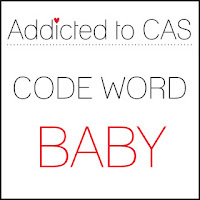 And perfectly CAS, too! 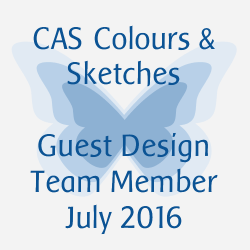 Thanks so much for playing along with us at Addicted to CAS...we always enjoy seeing your creations in our gallery! such a sweet card, and nicely made. Wonderful! So cute and so beautifully CAS, love it! Thanks for playing at AAA Cards.